What Are You Doing to Prepare for Retirement at Home? One of the great joys of working less — or not at all — is more time to enjoy your home. What projects are you tackling? Renovation industry professionals have noticed a trend among their clients: About one-third of firms are experiencing a growing demand for projects related to retirement, including changes made to prepare for aging in the home, according to the latest Houzz Renovation Barometer , which tracks optimism and trends among renovation firms. 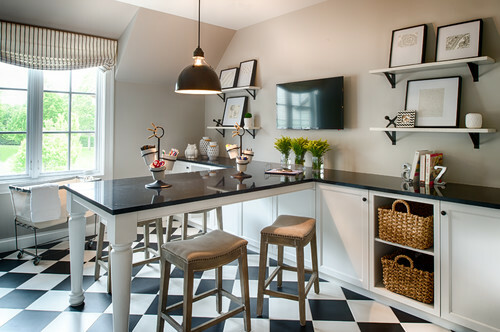 Are you embarking on projects to get your home ready for post-working life? If so, we’d love to see your projects — whether you’re readying your bathroom to accommodate a wheelchair or turning that spare bedroom into a playspace for the grandkids. Please tell us about the changes you’re making at home to prepare for retirement in the Comments! And upload your sharpest picture of your project. Are you making more space for hobbies? Retirement may bring more time to do the things we’ve always liked to do. If you’ve carved out space at home for pursuing passion projects and hobbies, we’d love to hear about it and see a great photo. 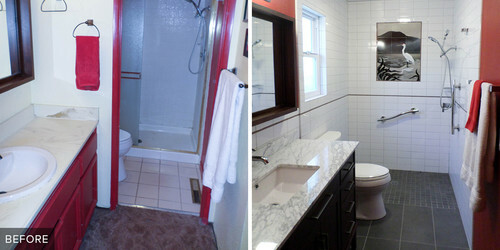 Are you remodeling a bathroom? A bathtub can become a tripping hazard as we age, and it may be difficult to get into from a wheelchair. Knowing this, Beth Sawatzky, who lives in a community of active adults in Healdsburg, California, remodeled her bathroom to prepare for the changes of aging. Are you remodeling to prepare for retirement? If so, please tell us about it in the Comments, and upload a crisp, clean photo of your project! Have you turned your garden into a restful oasis? Gardening is a hobby that people of all ages enjoy. 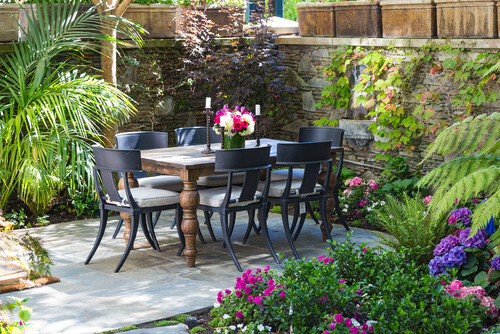 With additional time on your hands, are you working on your garden — whether on the plantings themselves or by adding furniture so that you can host guests? If so, we’d love to hear all about it. Your turn: What are you doing to prepare your home for retirement? Please tell us about it — and share your sharpest photos — in the Comments section below. We’d love to be inspired by your projects!